Moving to Comindware: Getting your team to start using our software. Embracing change is often difficult, especially if we talk about changing other people’s habits and environments. Getting your team to start using a centralized task management environment or changing the platform you use for that purpose may turn out to be a serious cultural and organizational challenge. This article will outline best practices for gearing up for this change and help your team make the transition to Comindware. lack of management control over tasks going on, and the like. These problems are often painfully obvious, but be sure your team will bring up more of them. So, be sure to bring your team (or team leaders) together to brainstorm the goals. This will give you a wider understanding of your requirements and also give your team the feeling of involvement in the process. If you are unsure about how Comindware can help cover all of your goals, make sure to get in touch with the support team; chances are we have the answers at hand. You will want to trial every Comindware product you identify during the selection process to see which one fits your needs. Make sure that key members of your team participate in the trials. Comindware Tracker offers a fully functional 30-day trial period during which team members can see how the product will help them achieve their goals more efficiently. If you work as a group and come up with the best setups and processes for your company, you can be sure that the internal launch will prove much more successful. Comindware products are very easy to set up, but if you design a bad process or if you try to replicate the workflow structure that was causing you trouble with your older approach, you are likely to get all the same problems again. Think of why you made the change and aim to remove the bottlenecks and general inefficiencies of your past processes. A bit of planning will go a long way so just sit down with your team, draft your ideal workflow structure on paper and then put it into the product. Before you roll it out, do some test runs to make sure the system is easy to use and you have enough management visibility of things going through it. This next suggestion may be a no-brainer but it is often overlooked – you need to get your team ready to use the new environment. Bring the team together to introduce the product interface, give them a rundown of what processes are set up and pay special attention to how the product simplifies things for each member. Listen to feedback carefully; you may have to do a couple of rounds of fine-tuning to make it even simpler and to get your team to completely buy into this new shiny platform for their task and workflow management. If you did due diligence, set up the proper workflows and made sure your team knows how to use the product and understands why it’s good for them, you are half-way through. Now you need to make sure that it becomes everyone’s habit to use it and this is where you need all the persistence you have. People won’t change their habits overnight, so your team will require some time to “burn in” with the new environment. If your goal is to get your team to manage tasks through Comindware, make it the talk of the month – walk up to your team members and occasionally ask them to share task details within Comindware. Get yourself and your managers to manage the team(s) through Comindware only. If you have set up a helpdesk system in Comindware, don’t accept any requests unless they are submitted through the system. If you are a software company that needs an efficient bug tracking software, set it up using Comindware and make sure every single product issue report is put through it, no exceptions. If you have set up an HR automation system, make sure your HR managers are giving you data and dashboards off of the Comindware reporting tools. And make sure key members of the team and managers do the same – they need to be evangelists of this solution because you chose it to make life easier for your team. After some time your colleagues won’t picture their work without the efficiency Comindware gives them. Feel free to contact our support team if you are unsure about how to use Comindware to help you meet your task and workflow management goals. 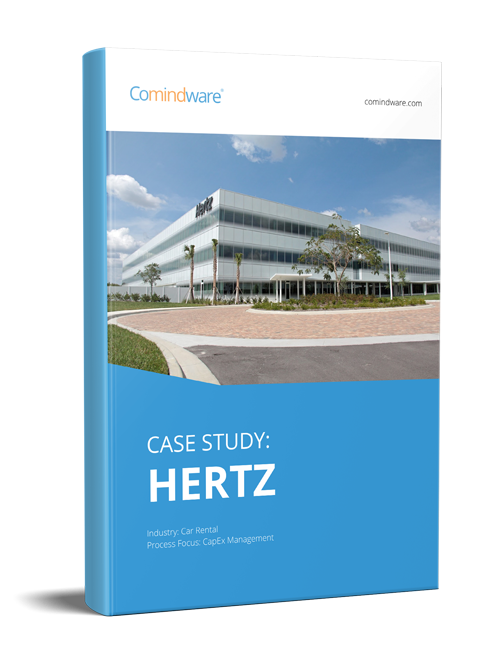 Chances are we know how to optimize your collaboration environment with the help of Comindware products. Andrey Zarubin is Support Director, Comindware Customer HQ. Former Global Quality and Training manager at Acronis, Andrey specializes on customer service and support call center processes and operations. Andrey is SixSigma Black Belt certified and is now getting his MBA in Russian Academy of Public Administration. How do I organize the product certification process?